Where Can You Find Easy Instruction With Diagrams on How to Tie a Windsor Knot? Easy diagrammed instructions for tying a tie with a Windsor knot can be found online at Tie-a-Tie.net and Ties.com. Tie-a-Tie.net provides detailed written instructions with a diagram for each step. Ties.com offers easy to follow diagrams with instructions listed afterwards. The Windsor knot is easy to learn and results in a wide triangular knot. 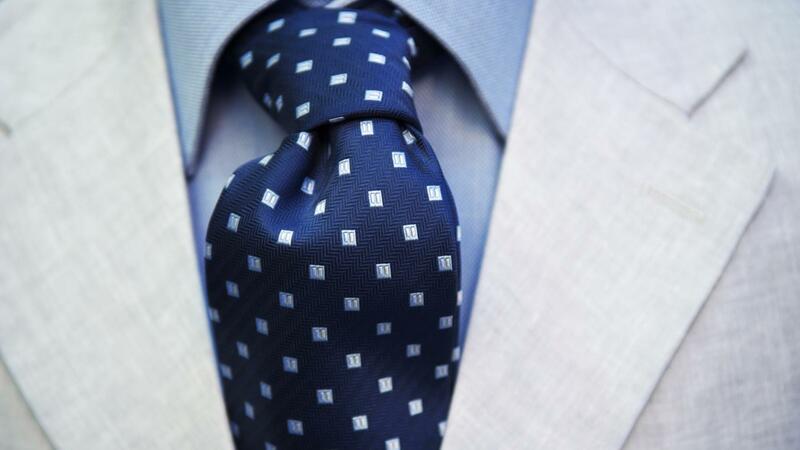 This type of knot looks best with a shirt that has a spread collar. This look is especially flattering on men with long necks. The Windsor knot originated with the Duke of Windsor. While he did not use this specific style of knot, he did tie his ties with a wide triangular knot. The Windsor knot was developed by the public to imitate the Duke's style. What Are the Steps to Tie a Tie? How Do You Tie a Necktie? What Color Tie Goes With a Black Shirt? How Do You Use a Tie Pin? How Long Is the Average Scarf? What Is Considered Vintage Eyewear? What Is the Way to Get Scratches Out of Sunglasses? What Is Hello Kitty's Real Name? Where Can You Find Instructions for the Armitron WR165? What Are Some Easy Ways to Tie a Tie? What Is the Proper Way to Wear a Tie Tack?